Morbius the Living Vampire has begun filming, and now Jared Leto isn’t the only actor sharing teases from the set. 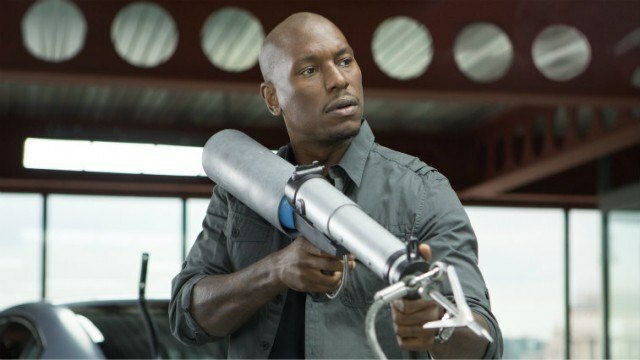 Tyrese Gibson, who joined the cast last month, recently posted an Instagram video (via ComicBook.com) of himself in the makeup chair as he prepares to hop in front of the camera for a scene in the upcoming Spider-Man-adjacent feature. And in doing so, he may have finally revealed what character he’s playing. Gibson’s casting announcement originally described his role as an FBI agent in pursuit of Leto’s transformed Michael Morbius. By outing himself as “Agent Stroud,” Gibson seems to have confirmed that he’ll portray Simon Stroud, a character from Marvel’s comic book universe. In the comics, Simon was an ex-CIA operative who eventually took up work as a mercenary and frequently targeted Morbius. Stroud’s typical outfit of choice was a blue suit with a red turtleneck, but it’s hard to imagine Gibson pulling off this look. In addition to Morbius, Stroud also faced off against Man-Wolf, the lycanthropic alter-ego of John Jameson (son of J. Jonah). There hasn’t been any word about this character making an appearance in Morbius the Living Vampire. However, it’s worth noting that co-star Jared Harris’ role in the film in still a mystery. Man-Wolf could easily be one of the “over 900” Marvel characters that Sony has at their disposal. The studio would be playing fast and loose with the source material if Harris were playing a new version of Man-Wolf. But of course, this didn’t stop them during the making of Venom. What are your thoughts on Tyrese Gibson playing Simon Stroud in Morbius the Living Vampire? Let us know in the comment section below!